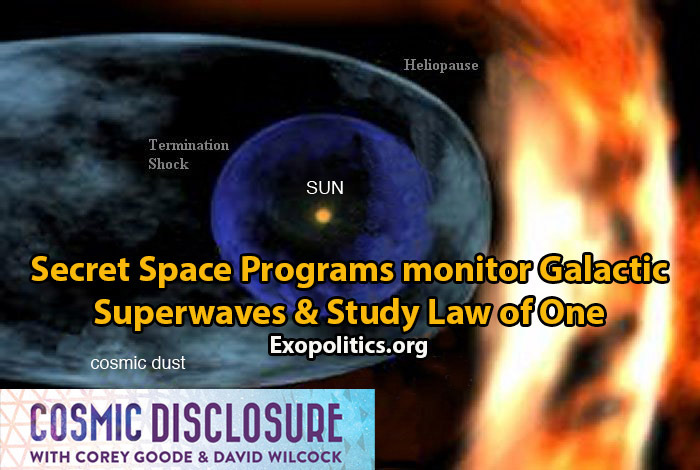 In the fifth installment of the Cosmic Disclosure Gaiam TV series, whistleblower Corey Goode reveals how secret space programs he worked with from 1987-2007 had become aware of regions of the galaxy with “superwaves” that would eventually be encountered by our solar system. It was discovered that the superwaves were made up of clouds of “vibrating energy particles” that would impact the sun, earth and humanity in ways leading to profound changes. Human consciousness itself would be directly impacted and would lead either to our rapid evolution into an advanced global society, or global self-destruction as apparently had happened in the past.